Embryonic stem cells are a controversial subject due to their use in some areas of stem cell research. Embryonic stem cells, also known as ES cells, are just one kind of stem cell, adult stem cells are not surrounded in controversy. Stem cells are the master cells of the body, they are able to create an indefinite amount of cells of their own type but the also have the ability to create more specialised cells, this is called differentiation. Stem cells are found in different areas of the body such as bone marrow, cord blood and adipose tissue to name but a few and some stem cell types are more specialised than others. Embryonic stem cells are the most potent stem cells of all, they are described as being “totipotent”. ES cells have the ability to create all the tissue types of the human body, including placental tissue. This ability to create different tissue types is called differentiation. Embryonic stem cells have the greatest ability of all cells to differentiate. The controversy surrounding ES cells is due to the fact that they are sourced from human embryos. ES cells are sourced while the embryo is at the preimplantation stage. It is important to note that while embryonic stem cells are used by some scientists for research, not all researchers use them. 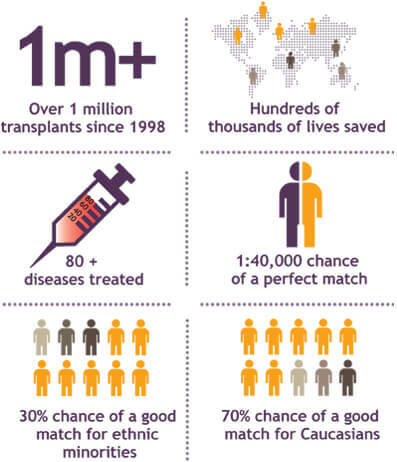 Stem cell research can use stem cells from donated umbilical cord blood, bone marrow and adipose (fat) tissue. The discovery of induced pluripotent stem cells, also known as iPS cells, may see a reduction in the use of embryonic stem cells for research. An induced pluripotent stem cell is a great research tool, it uses the skin from an adult and transforms the skin cells into iPS cells. While iPS cells are not suitable for treatment they are a valuable tool. Adult stem cells are stem cells found in the body of people of all ages. The term adult stem cell can be confusing when thinking about small children or babies. Umbilical cord blood from newborn babies contains adult stem cells. Cord blood also contains very special stem cells called VSELs or Very Small Embryonic Like stem cells. It is important not to confuse these cells with embryonic stem cells. As the name suggests, they are like embryonic stem cells in their power to differentiate, however they are not derived from an embryo. No. Cord blood contains adult stem cells. 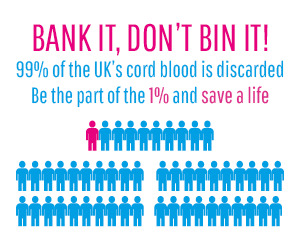 Cord blood is a completely ethical source of stem cells. Should you wish to store cord blood or use cord blood for a treatment or therapy, you can do so in the knowledge that it is an ethical source of stem cells. Thanks for mentioning that stem cells are the master cells of the body and are able to create an indefinite amount of specialized cells. You also mention that stem cells are found in various areas of the body, such as bone marrow and core blood. I think it’s a great idea to donate your child’s umbilical cord to a stem cell research center so that further testing on stem cells can be done.